American Football is one of the most popular sports in America and has also captivated viewers in neighboring Canada. The biggest and most popular league in American Football is the National Football League (NFL) which has some of the biggest brands and players in the game. The NFL consists of 32 teams and features teams such as the Green Bay Packers, Dallas Cowboys, New York Jets, San Francisco 49ers, Chicago Bears and the Miami Dolphins. There are a total of four American Football leagues across North America but the NFL is the most popular and most watched American Football league. The NFL usually has a 17 week season which begins one week after Labor day and runs till the end of the year. American Football is one of the richest leagues in the country and the top NFL players are paid millions of dollars each year. Should you fancy playing a wager on an American Football sporting fixture then feel free to check out any of the following sports betting sites, they all cater for Canadian residents, and each betting site listed is also offering new customers a special free bet bonus, which will certainly increase your winning chances. Please carefully read through any terms and conditions which will be found on the respective betting sites website in regards to how to claim and use any free bet bonus, failure to adhere to any specific rule may void your winnings so do take some time checking the terms and conditions out. The above bonus bets are subject to chance at any time, so once again please check out the respective betting sites website for further information on the amount of their current free bet bonus offer. What Betting Rules Should I Keep My Eye on? What Bet Types Should I go for? How Can I Use the Yardage to Adjust my Strategy? How to Develop my Strategy? How Does the Home Field Advantage Work? Canadians pay close attention to the NFL and support their favorite team’s right throughout the 17 week season. A number of Canadians also regularly place bets on the NFL teams they support and sometimes even on other teams if they believe they can win money off them. 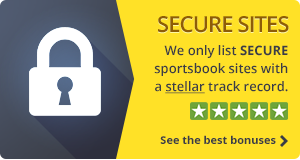 A number of reputed sports betting websites such as Bet365, Paddy Power, William Hill, Betfair and 888 Sports offer betting on American football. These sports betting websites offer betting via their online website and also via a mobile app that is compatible with both Android and mobile platforms. Some of the bets offered on American football include match betting, total match points, winning margin, tri-bet, handicap betting, alternate handicap, away team total points and home team total points. Most NFL games run for a little more than an hour but with the amount of commercials and timeouts these games can run for well over two hours. Most sports betting websites offer in-play betting on American football games. It is probably the Super Bowl that most people associate with American Football, and whilst it is true to say that this one annual event does indeed have a huge amount placed and wagered on the outcome of the match, there are plenty of other ways to bet on American Football throughout the year. In this section of the Betting.ca website we shall let you know not only which American Football events you can wager on but also what types of wagers you can place and of course present to you are range of our top rated online betting sites, all of which accept American Football bets and offer some of the best odds around. The biggest sporting event in regards to the American Football Calendar is of course the Super Bowl, however you can also place wagers through the season on many different American Football teams all of which are in the American Football Conference (AFC), the National Football Conference (NFC) which make up the National Football League (NFL). The Super Bowl is broadcasted throughout North America and has a history of being one of the most watch events in every calendar year. 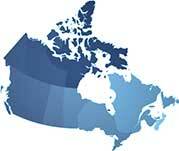 The event also results in a massive amount of bets being made both in America and Canada. The Super Bowl championship generally takes place the following year. This means that the NFL 2016 season will see the final championship take place only during the early part of 2017. The finals usually take place on a Sunday which is often referred to as Super Bowl Sunday. American Football Handicap Betting: Should it look like one of the teams playing cannot possibly lose, then the outright winning odds on that team will be restrictive, however thanks to Handicap Betting the opposing team is given a head start and as such the odds reflect their chances with this enhanced starting score. American Football Match Betting: This is probably the most popular type of wager on any American Football sporting fixture. Simply pick out the team you want to win, place you bets and if that team wins then so do you. American Football Away Team Total Points: For those of you are looking to get some of the best odds available on any American Football wager, then it is going to be the more exotic types of wagers that you should be placing, if you think you can predict the total points scored by the Away Team, then these types of wagers are renowned for their large payout odds, however they can be rather hard to predict, hence the large odds given! American Football First Team to call a Timeout: Another of the more unusual types of American Football betting opportunities is the first team to call a timeout wager, the bet is exactly as its name suggests, and you will find many online and mobile betting sites offering you the ability of placing such a wager. 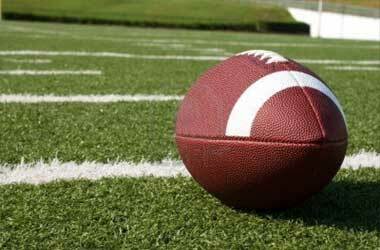 American Football Total Points Betting: One final type of American Football betting opportunity that may or may not be of interest to you, but one that can offer some generous winning payout odds is the Total Points wager. This is your chance to correctly guess just how many points will be scored throughout any match, and if correct you will be rewarded with some rather large winning odds. The key things you have to look out for are the overtime rules that some betting sites apply. Unlike other sports where overtime is rarely counted, with American football match bets or “moneyline” bets have a “push” rule that gets your stake back after over time if the scores are even. The same rule sometimes applies to spread bets, which if level (handicap applied) after the fourth quarter are still considered a “push”. Another rule to keep your eye on is that, in most cases, the bets stand as long as 55 minutes of gameplay has been realized, even if the game is later replayed. The easiest bet to make, especially for beginners, is the match bet. With this bet type, all you have to do is bet on a single team taking the win according to your best judgment. However, if you rely on match bets in the beginning, you should also consider whether your betting provider has the “push” rule, which states that you won’t actually win in the event of a draw. Second to the match bet is the handicap bet, which is a more advanced bet to make and should be only done when you have basic understanding of how this works. With spread bets, if you bet on the winning team you’ll only win when the team scores over the minimum margin. On the other hand, if you bet on the weaker team, you’ll win both in the case of a win as well as when the win margin is lower. The yardage is one of the most basic methods Canada bettors use to estimate bets since it relies on the basic principle of team strength. The way yardage is applied is by looking at the offensive and defensive yard of each team, i.e. how many yards have been gained and how many defended. The logic is that, naturally, the teams that gain more yards in the offensive are considered to be the likeliest winner. Of course, this isn’t a failsafe method, but it can often help you pick better. Your strategy mainly depends on what bet type you choose. If you go for match bets, you’ll only have to predict the stronger team, while handicap and total point bets are quite different. Namely, with both bet types unpredictable factors like the weather come into play to estimate the point difference, but also previous stats. Another popular way Canada bettors adjust their strategy is to use the HFA (home field advantage) stats the NFL publicly discloses. This is basically done by taking the number of points conceded at home and subtracting them from the number of points scored at home and then dividing that number by the number of games played in a home season.